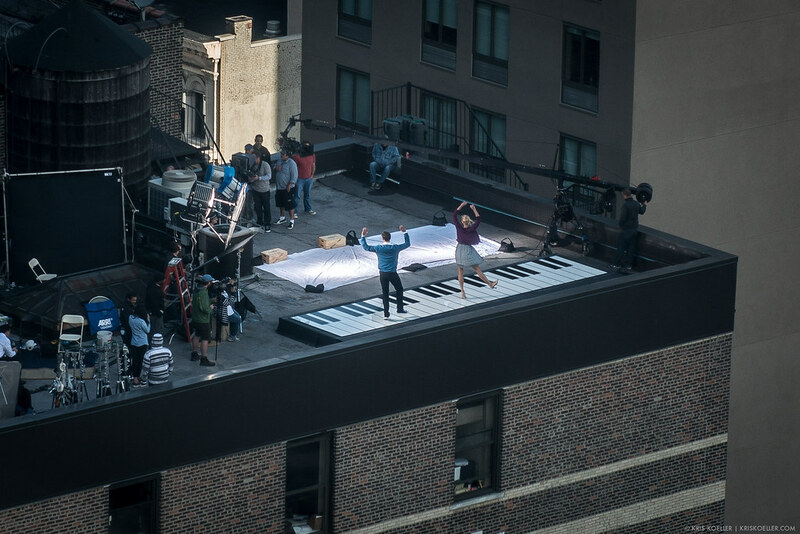 This is one of those rare, "Only in New York City" moments when you look out your window and see a song and dance number filmed on a rooftop in front of the Empire State Building. 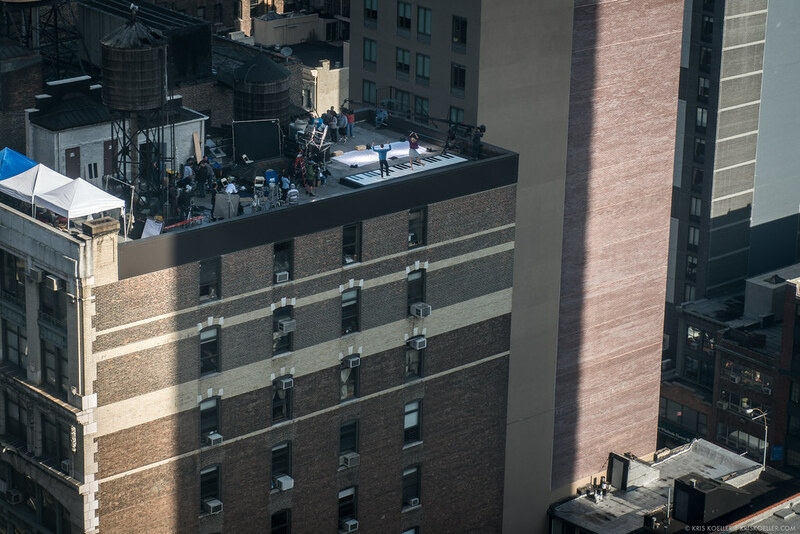 Who knows what this is for, but they did about a hundred takes and seemed to be having a good time. Here's the same photo cropped closely. This is where the Nikon D800 really shines. Lots of megapixels.